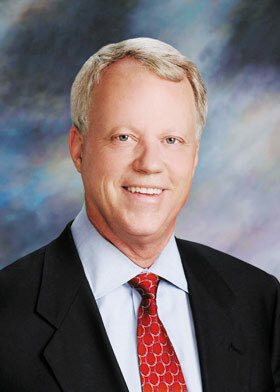 High Marks: Two of Georgia’s Republican representatives, District Nine’s Tom Graves and District 10’s Paul Broun, earned an “A” from the conservative National Taxpayers Union (NTU) in the group’s 33rd annual Congressional rating for the year 2011. The nonprofit, nonpartisan union advocates lower taxes and smaller government. It determines lawmakers’ scores on the basis of roll call votes affecting fiscal policy – 337 votes in the House and 234 in the Senate. Members of Congress who score an “A” are named Taxpay-ers’ Friends; in the house, this means voting the NTU’s position 85 percent of the time; in the Senate, it’s 90 percent. Graves scored 91; Broun, 87. Georgia’s senators, Johnny Isakson and Saxby Chambliss, scored “B-minus” or 79 and “B” or 82, respectively. Those who score lowest on the taxpayers’ union tally are deemed “Big Spenders.” Three of Georgia’s House Democrats, Fifth District Rep. John Lewis, Fourth District Rep. Hank Johnson and 13th District Rep. David Scott, made that list. Hooks Leaving: Longtime State Senator George Hooks (D-Americus) has announced that he will not seek re-election. He served in the General Assembly for 32 years, first in the House of Representatives and, since 1990, in the Senate. Bi-Partisan Bandwagon: The state’s top two Republican officials, Gov. Nathan Deal and Lt. Gov. Casey Cagle, and Atlanta’s Democratic Mayor Kasim Reed have all been actively campaigning for passage of the July 31 T-SPLOST referendum, which would authorize a 10-year penny tax for statewide transportation improvements that include some transit projects in the metro area. Republican U.S. Senators Johnny Isakson and Saxby Chambliss are proponents, as is Fifth District Congress-man John Lewis, a Democrat, who told a group of Atlanta civic and business leaders in Washington for an Atlanta Regional Commission LINK trip that they could count on his support for the referendum. There’s considerable opposition, of course, but the big political guns have lined up pretty solidly in favor of the T-SPLOST. Name-Changers: First comes the announcement of consolidation, then the new name. The merger of cumbersomely titled North Georgia College and State University with Gainesville State College will result in the Uni-versity of North Georgia. Meanwhile, proposed names for the consolidated Augusta State University and Georgia Health Sciences University (GHSU for short) are scheduled to be submitted to the University System of Georgia Board of Regents by July 1, with the board likely to vote on a new name in August. GHSU only recently changed its name from the Medical College of Georgia. PSC Elections: Two of Georgia’s five public service commissioners, Stan Wise and Chuck Eaton, both Republicans, are up for re-election this year and face opposition in the July 31 general primary. Eaton is being challenged by Republican Matt Reid, De-catur, and Democrat Steve Oppen-heimer, Atlanta. Wise has one challenger, Republican Pam Davis, Douglas-ville. Commissioners are elected for six-year terms. Keeping Score: The Georgia Chamber of Commerce handed out grades of “A” or “A-plus” to 100 state legislators (30 in the Senate and 70 in the House) based on their votes on business-friendly bills during the 2011 and 2012 sessions. Another 62 (12 in the Senate and 50 in the House) received “U” or “Unsatis-factory” grades. In its “2012 Legislative Scorecard,” the chamber identified nine key pieces of legislation “deemed most important to enhancing Georgia’s economic competitiveness by the Legislative Council” and used these to compile its scores. They include HR 1162, which authorizes a vote on a constitutional amendment to let the state approve charter schools; SB 427, which requires the state Environmental Protection Division to implement a more transparent and timely permitting process; and HB 386, which establishes broad reforms to the state tax code. To check on individual legislators’ scores, visit the Georgia Chamber’s web-site at www.gachamber.com/uploads/ 2012_Scorecard.pdf.